A study published, on 21st July 2017, in the open access journal BMC Nutrition states that consuming a sugar-sweetened drink along with a high-protein meal can have adverse effects on energy balance, change food preferences and reduce fat metabolism. Dr. Shanon Casperson, lead author of the study from USDA-Agricultural Research Service Grand Forks Human Nutrition Research Center, USA, stated that their results showed that approximately 1/3 third of the extra calories in the sugar-sweetened drinks were not burnt, metabolism of fat was decreased, and the body required less energy to metabolize the meals. A reduction in metabolic efficiency could lead to the body storing more fat. 27 healthy-weight adults – 13 males and 14 females – with an average age of 23 years were recruited and attended two 24-hours visits during the course of the study. In both the visits, participants received two meals – breakfast and lunch – after an overnight fast. Meals with 15% protein content were provided on the first visit, whereas, in the second visit, two 30% protein meals were given. A decrease in the carbohydrates was counterbalanced by an increase in the protein. All the four meals contained the same foods which contained 500 kcal and 17g of fat. They took a sugar-sweetened drink with one of the meals, and a non-sugar sweetened drink with the other. To evaluate the effects of dietary changes on energy expenditure, and the way by which the body processes the nutrients, a room calorimeter - a 25m3 furnished chamber which measures movement, oxygen, carbon dioxide, temperature, and pressure – was used. The quantity of carbohydrates, proteins, and fats used as well as the amount of calories burned per minute can be determined by having the participants of the study stay in a room calorimeter. The participants were made to stay in the room for the duration of each study visit. There was an 8% decrease in the fat oxidation that kick-started the metabolism of fat molecules when a sugar-sweetened drink was included along with the meal. When it was taken along with a 15% protein meal, the average decrease in the fat oxidation was 7.2g, whereas, when consumed with a 30% protein meal, the average decrease in fat oxidation was 12.6g. 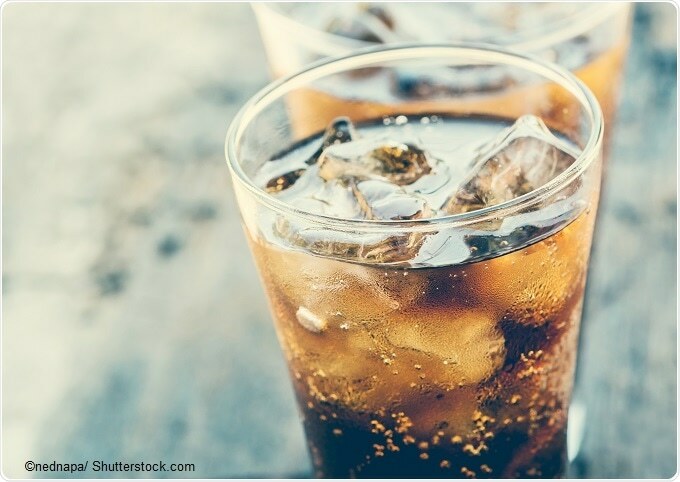 Even though the sugar-sweetened drink increased the amount of energy used to metabolize the meal, the increased expenditure was not used to even out the consumption of additional calories from the drink. Dr. Casperson said that the impact of the sugary drink increased the study subjects' desire to eat savory and salty foods for four hours after eating. According to him, the findings of the study suggest negative impacts of having a sugar-sweetened drink with a meal on both sides of the energy balance equation. The potential role of sugar-sweetened drinks which is the largest single source of sugar in the American diet, in weight gain and obesity is revealed by the study. In the study, dietary changes were accessed only for a short period and so, while extrapolating the study data to dietary changes over a longer period, caution must be used. The authors also caution the chance for the overweight individuals to respond differently to dietary changes, since, the study was in healthy-weight adults.